Emergency Furnace & Air Conditioning Repair Contractors in St Paul & Minneapolis MN inc. Brooklyn Park, Maple Grove & Golden Valley! Have you been searching for an HVAC contractor in the Twin Cities; Minneapolis and St Paul area? At Twin Cities Heating And Cooling, we understand how important a working HVAC system is to both your personal and professional life. As a locally owned and operated company, we have strived for nearly a decade and a half to provide a wide range of services for both home and commercial property owners throughout the area. Spring is here and warm weather is not far behind! Now is the best time to schedule your spring maintenance tune up with Twin CitiesHeating and Cooling. We can clean, check and fix your air conditioning units before they kick on to high gear this summer. Please read our spring tune up blog on why you should contact us now. And if you would like to read what some of our satisfied customers have to say, please check out these great reviews! Maple Grove Heating Contractors, Furnace Tune Ups, Gas Fireplace Repair, Dryer Vent Cleaning! We offer heating, air conditioning, gas fireplace repair, dryer vent cleaning, refrigeration and custom sheet metal services. When it comes to your satisfaction, our team is dedicated to providing a high level of service. More than just high quality parts and workmanship, you can count on Twin Cities Heating And Cooling to listen to your concerns and customize the best system for your needs. We recognize the value of your hard earned money, and we are determined to deliver the competitive rates and personalized service you expect and deserve. We service the greater Twin Cities area from A to Z – Albertville to Zimmerman. Heating and cooling systems inevitably age, losing efficiency or eventually breaking down entirely. When this happens, choosing just any contractor to replace your system can lead to a prolonged and costly negative experience so when you need reliable Heating and Air Conditioner installation or replacement services in the greater Twin Cities region, you can count on us to get the job done right – the first time. 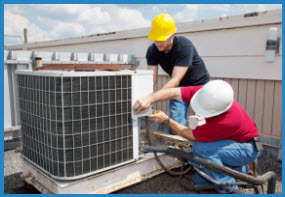 Call us today to discuss your air conditioning and heating needs.